Habitat - Wooded slopes, deciduous woods. 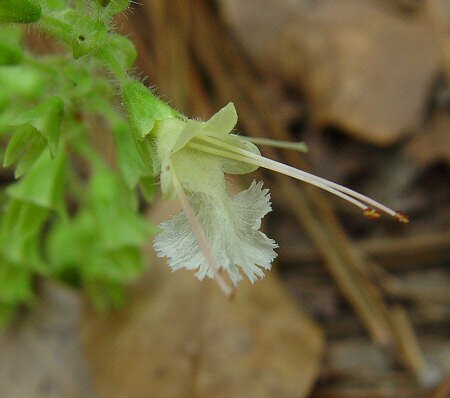 Other information - This attractive species is uncommon in Alabama and can be found in just a handful of southern counties. 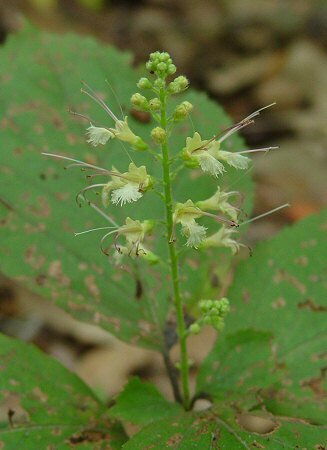 The plant can be identified by its large opposite leaves. 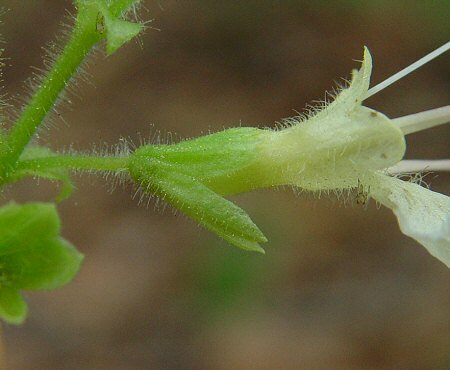 The nodes of the upper stem are very close together and give the leaves a whorled appearance. Any other than the upper four leaves are typically much reduced or absent all-together. The large inflorescences can get branched with age and the frilly white flowers are quite striking. 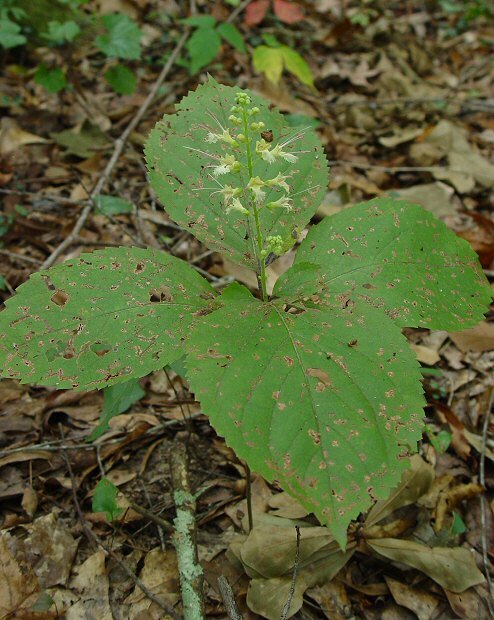 The species epithet verticillata derives from the Latin "verticill(a)" meaning "a whorl" referring to the leaves. Photographs taken at Tuskeegee National Forest, AL., 10-9-04.